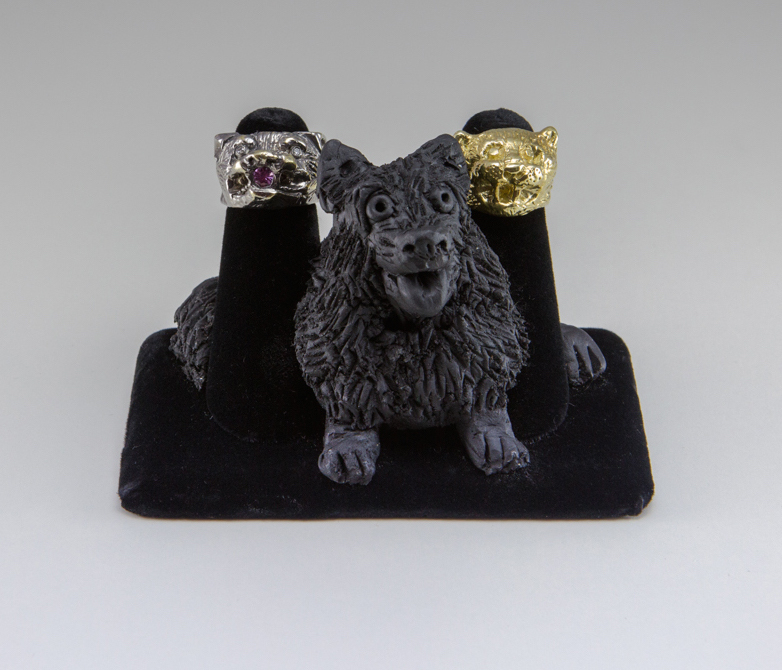 J. Hargreaves Industry presents its first jewelry collection, inhabiting an allegorical world of creatures. At once charming and brutish, this jewelry collection is a contemporary homage to Rococo and Romantic artists. Cast from hand-carved wax molds and custom made for the wearer with various metals and gems, each J. Hargreaves' piece tells a unique and ornate tale. J. Hargreaves Industry presents its first jewelry collection, inhabiting a fantastical world of magical animals and mythical creatures. At once playful and raw, and visually stunning, this jewelry collection gives a contemporary nod to Rococo and Romantic artists. Cast from hand-carved wax molds using a variety of metals and gems, each J. Hargreaves Industry piece tells a bewitching and bejeweled tale.